There was a time right around Chris Soules' first tango with Witney Carson on Dancing With the Stars that it felt like the former Bachelor was inescapable — never would I ever go another day without Chris Soules news again. But, alas, even that golden time had to come to an end (because Chris is, uh, not that great of a dancer), and while we're currently getting more news than ever about just how many "vills" can fit in the Bachelor in Paradise cast at once, the information well on Chris has dried up in recent months. 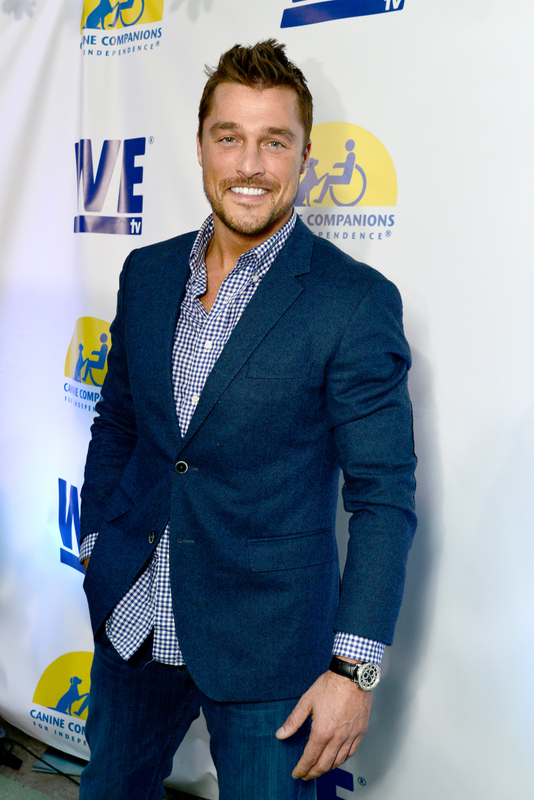 So, what has Chris Soules been up to? And, more importantly, is he watching Bachelor in Paradise? Well, if he is, he's certainly not tweeting about it. In fact, the farmer seems to have put the reality TV section of his life behind him and thrown himself back into his Iowa ways. It makes sense that the guy would want to lay a little low — despite being Arlington, Iowa's very own version of Brad Pitt — following his breakup with Final Rose winner Whitney Bischoff. When the two called it off, rumors were flying that they couldn't handle the stress of him having filmed another TV show after already making their way through the Bachelor gauntlet. So, it looks like Farmer Chris has taken himself back to the quiet streets of Iowa where no one will ever ask him to wear sequins, dance the cha cha, or go on a date in the middle of a canyon with two women at once. And, after two seasons on the show, he might want a break from it being in his life all the time. Bustle reached to Chris for comment on whether he was watching the spinoff show, and what he thought of it, but he didn't respond. Instead, Prince Farming has been keeping it interesting in Iowa, just a little more privately than the man with 25 girlfriends that we originally got to know. He's Been Farming. A Lot. Plenty of people wondered if Chris really got his hands dirty on his family's farm, and he's got an Instagram full of chest-high corn to prove he's the real deal. Since his break up in May, Chris has been throwing himself into farming and fending off the unpredictable Iowa summer weather. Of course, he's still taking an occasional trip to cities with a few more Starbucks than Arlington. Chris stopped by Good Morning America with plenty of other Bachelor pals in late July just before Kaitlyn chose Shawn on her Bachelorette finale. But, back in Iowa, he's just farming and spending time with family, which means lots of cute nieces. He even managed to lure former DWTS castmate Noah Galloway to the Hawkeye state for a good, all-American cause. It was pretty much going to be impossible for Chris to go on DWTS and dance with a woman who happened to share his fiance's name without battling rumors that he was stepping out on Whitney with Witney... but Chris didn't seem to worried about rumors then, and he doesn't seem to worried about them now. So, will we ever see Chris comment on BiP? Right now it looks like he's catching up on some non-reality TV time, and I don't blame him one bit.